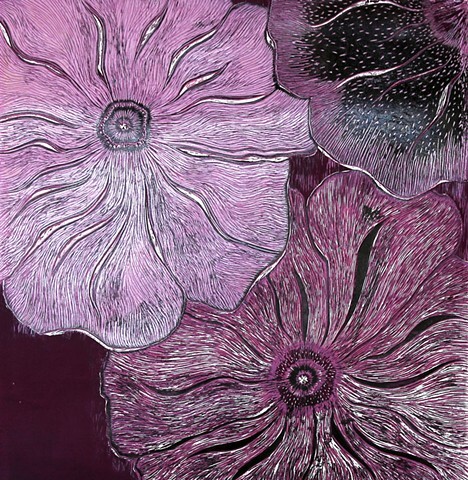 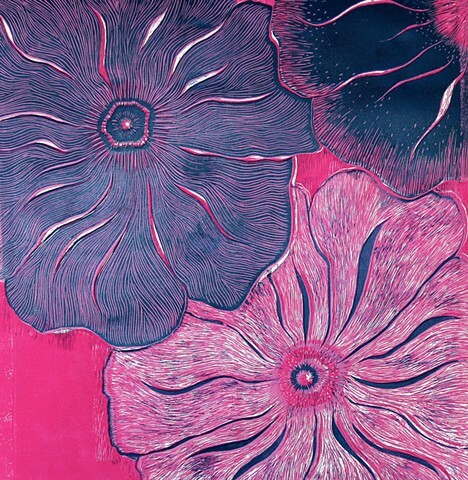 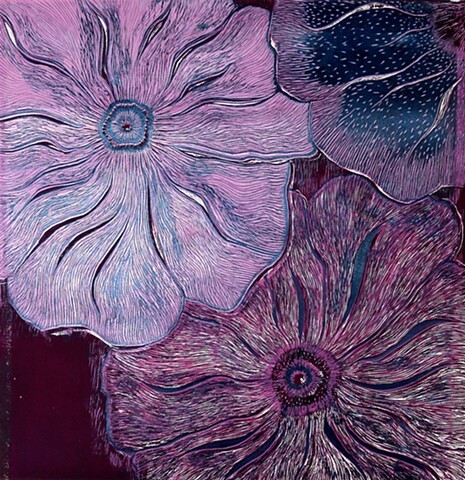 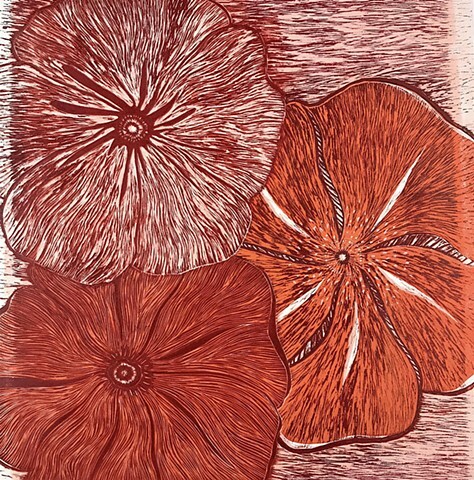 This Poppy series includes a limited series of multi-color woodcut reduction prints. 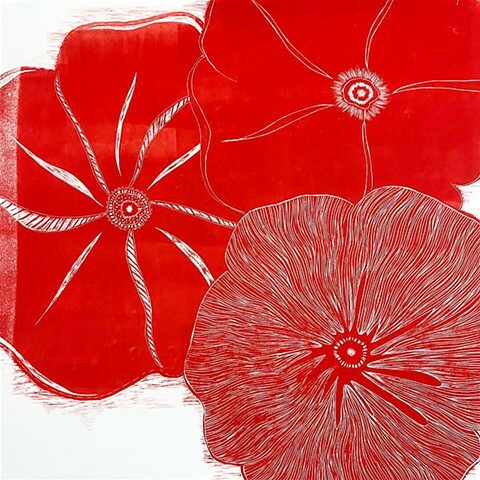 The reduction printmaking process involves carving each layer out of the block sequentially and printing one color at a time onto each individual print, meaning that it is impossible to work backwards or print the exact image again. 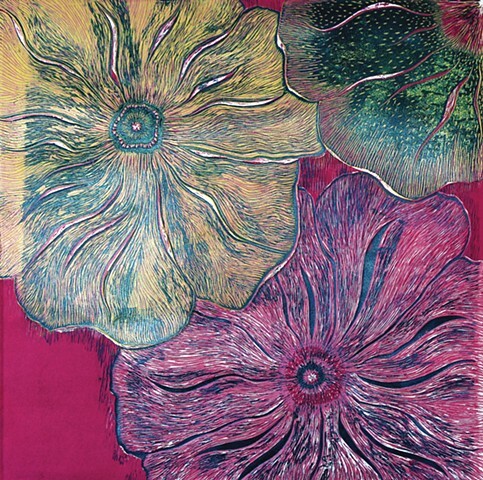 Each print will vary slightly in color tones making each print an original work. 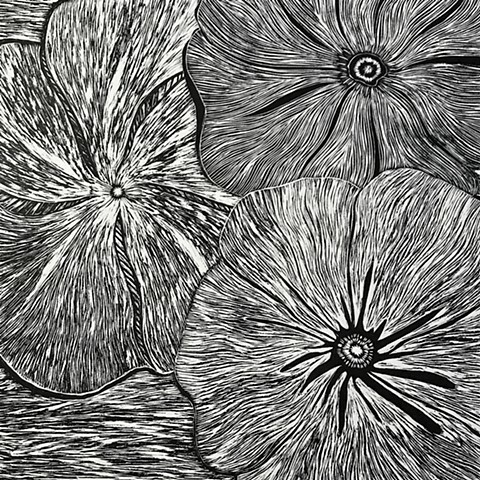 The image is 24"x24" printed on 25"x34" Stonehenge paper, but can easily be cropped to accommodate framing needs. 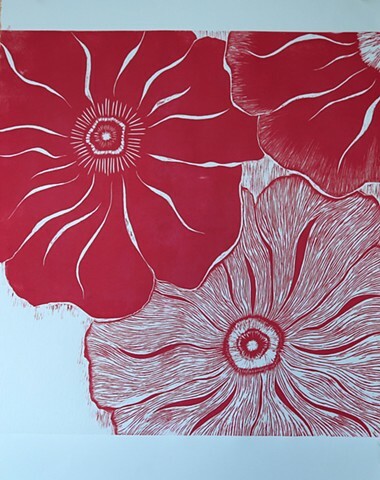 Additional Poppy woodcut prints (non-reduction) will be added with more frequency, size options, and in higher quantities as they become available.